Denver, Colorado. 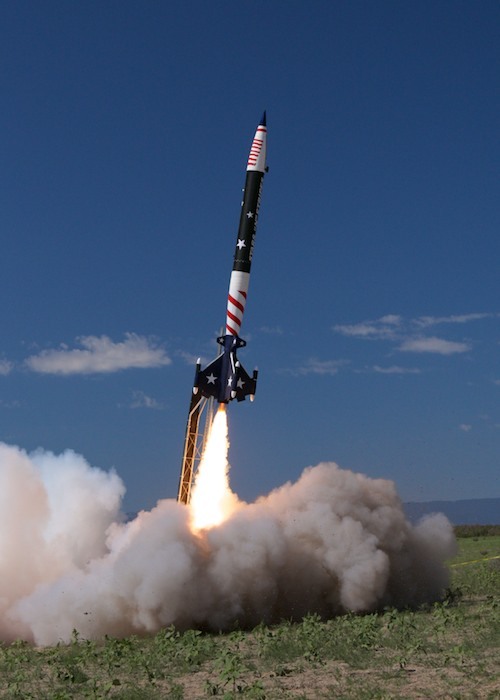 July 15, 2014 – High-power sport rockets will carry payloads thousands of feet above the plains of Pueblo, Colorado on Saturday, July 26. The United Launch Alliance (ULA) and Ball Aerospace & Technologies Corp. Student Rocket Launch is the culmination of an experience designed to simulate a real-life launch campaign and encourage students to pursue careers in science, technology, engineering and math (STEM). Students and employees volunteer their time to the program in addition to their normal duties. Student Rocket Launch day features three high-power sport rockets built by interns at ULA. Ball interns, collectively known as BIRST (Ball Intern Rocket Science Team) design, build and test the larger instruments and experiments that deploy after launch. Elementary, middle and high school students from around the country also contribute payloads for the launch. 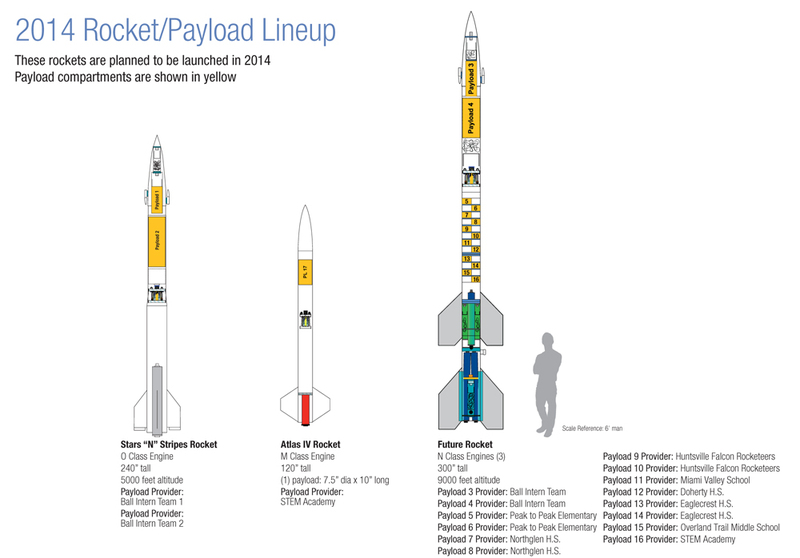 This year’s lineup of rockets includes the 25-foot-tall Future, which will carry its payloads to an altitude of approximately 9,000 feet. Future is the largest rocket to launch from the state of Colorado. It will be carrying 14 payloads. Also launching are Stars ‘N’ Stripes, a 20-foot rocket carrying two payloads, and the Atlas IV, a 10-foot rocket carrying a single payload. United Launch Alliance and Ball Aerospace mentors provide guidance for the students on basic rocket concepts, payload designs and payload integration with the rockets. Participating interns have only eight to ten weeks to construct the rockets and payloads and quickly gain experience with new design concepts, manufacturing techniques and launch procedures. The payloads can be almost anything the team can dream up, within certain constraints. Past experiments have included a fully-equipped life support system carrying a crew of grasshoppers, a bio-friendly glitter bomb, a solar balloon, and instruments that include GPS, accelerometers, and Geiger counters. The student designers use their experiments to learn more about the environment, the atmosphere, descent velocities and anything else they can imagine. The Student Rocket Launch is free and open to the public, but RSVP is required. Once you RSVP, you’ll be emailed a schedule, map/directions and further event information. Spectators can get a close-up view of the rockets from 8:30-9:30 a.m., and the launches are slated to begin at 10 a.m., with the final ULA launch taking place at noon. Dozens of other sport rockets also will launch throughout the day.